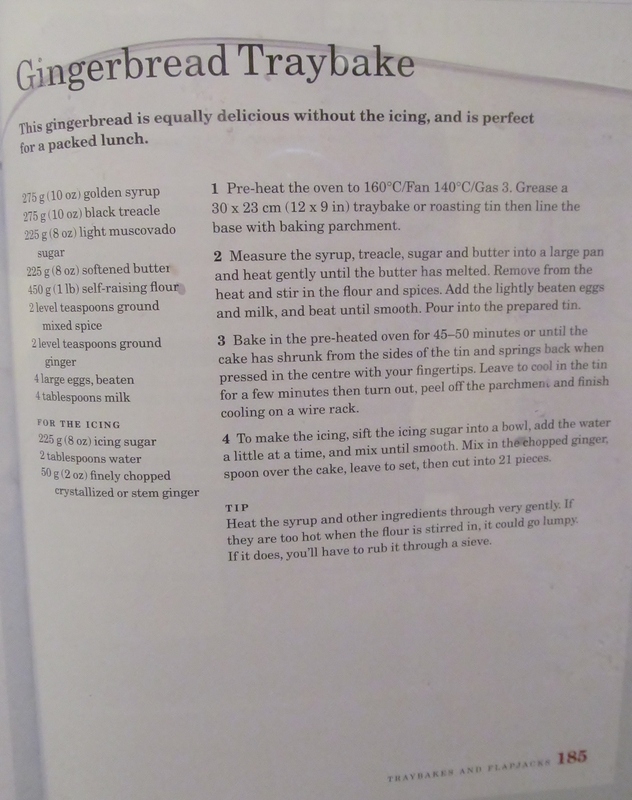 My hubby actually asked last week if Mary Berry’s Bible had any gingerbread recipes in it as he fancied some gingerbread……well when I looked, there are several gingerbread recipes so I read each one carefully as my thumb is still out of action and I needed a recipe that I could manage with one hand. So, most of this recipe involved weighing most of the ingredients into a large saucepan, heating gently, to melt them all together, adding the flour and spices and finally beating in four eggs and some milk. The last part was bit tricky but I managed it without needing hubby’s help and only dropped one egg on the floor and the dogs thought their luck had changed! 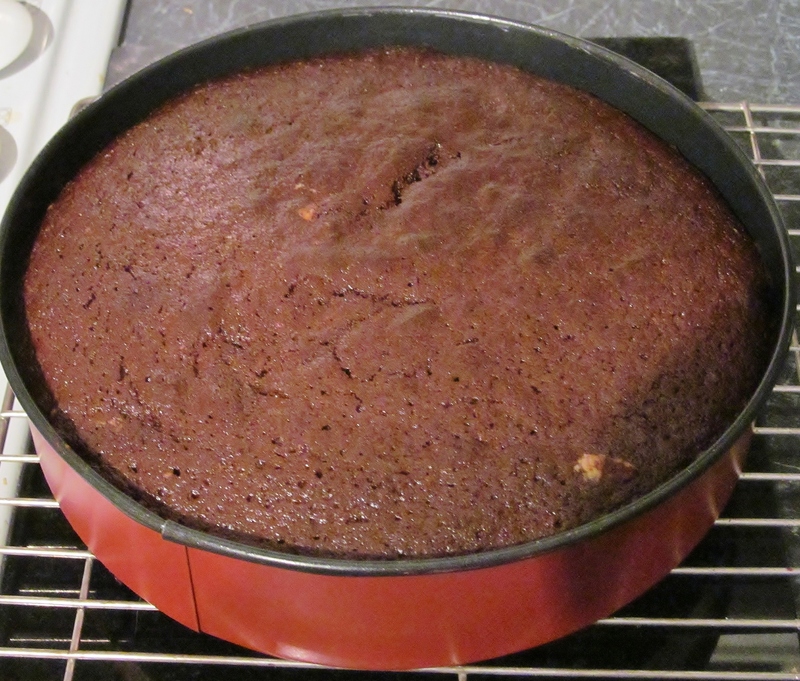 The gingerbread seemed easy enough to make, loads of treacle in it though so it’s going to be very sweet. It baked well and was ready at the recommended time. I took both tins out and let them stand for a while before turning them out onto the cooling rack. Once they were both totally cool, I made the topping, Mary recommends using icing sugar, a small amount of water and some finely chopped crystallised ginger. This is when my hubby made me laugh, he asked what the topping was made of and when I told him about the crystallised ginger, he said “BLEUGHHHHHH! 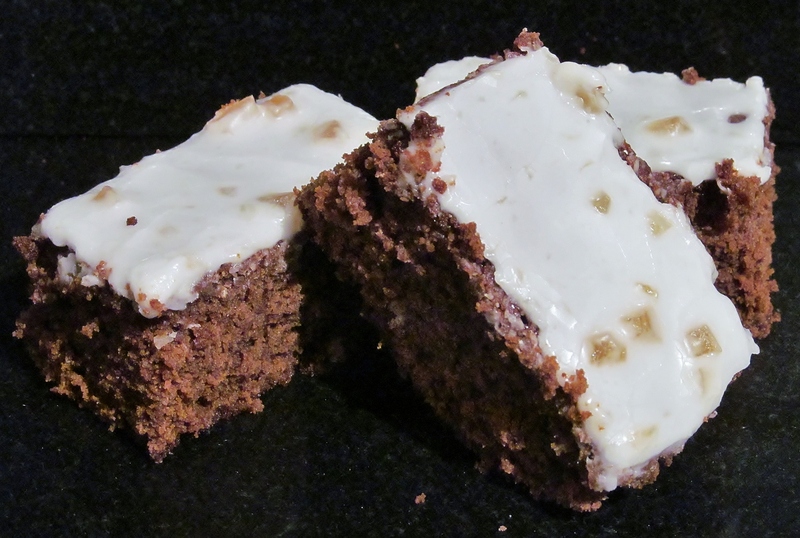 !” I was highly amused that he asked me to make a GINGERBREAD cake but didn’t want TINY amounts of GINGER on the topping……..MEN!!!!! This entry was posted in Kim's cake challenge and tagged Baking and Confections, Christmas, Cooking, ginger, Gingerbread, Holidays, Home, icing sugar, Kim's Cake Challenge, Mary Berry, Recipe by kimsideas. Bookmark the permalink.